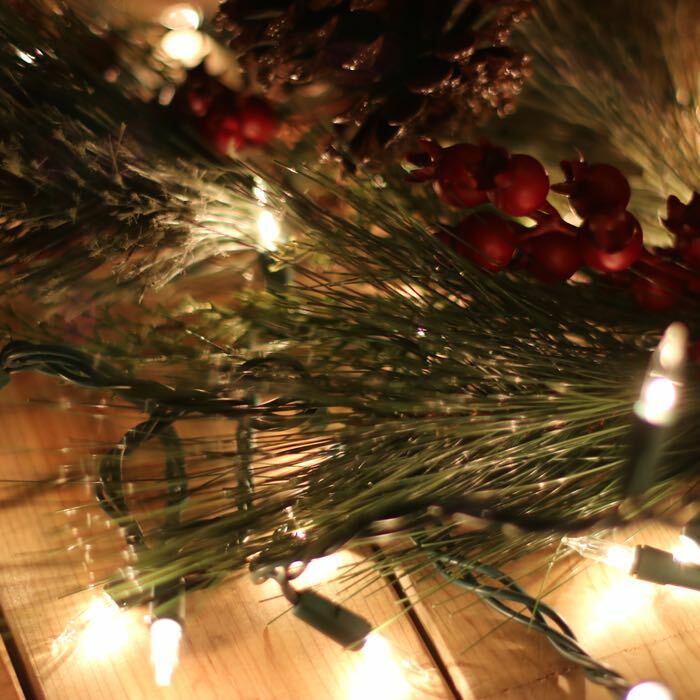 Are you interested in a new way to accent wreaths and garland? We love quick. We love easy. We know you do as well. 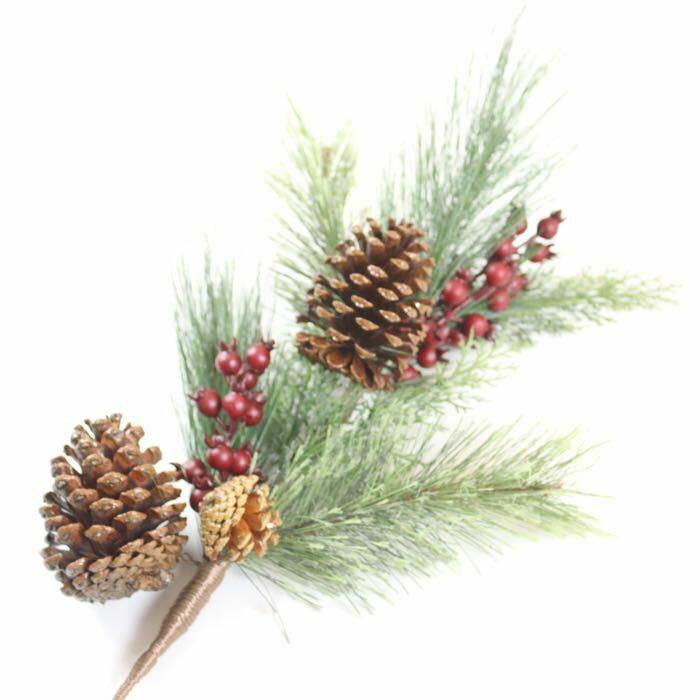 In a culture of convenience, adding 3-5 of these picks to your Christmas wreath will take it from fine to fantastic. Time invested: 10 minutes including opening the delivery box and taking the picks out of their protective plastic. 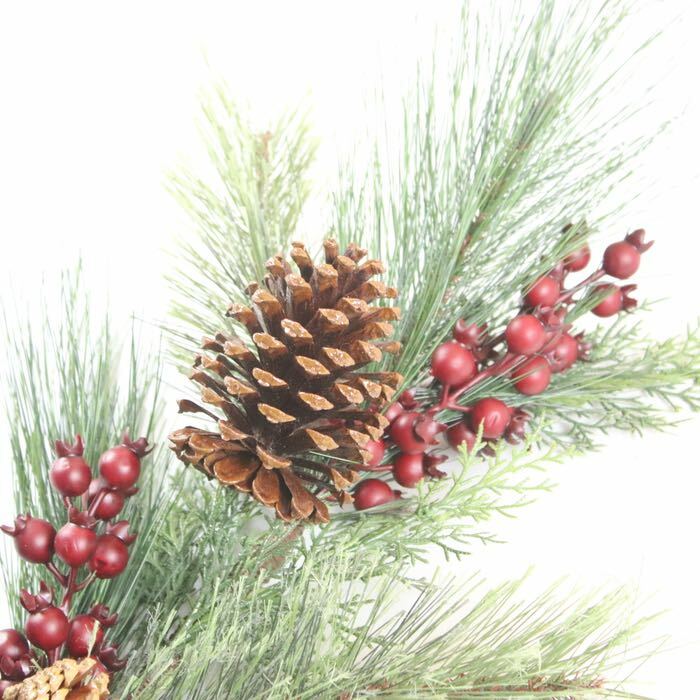 Description: Christmas greenery combined with red berries and pinecones. Perfect for tucking into wreaths, garlands, and Christmas trees. Combine with red and white Christmas lights and red bows to complete the look.